Has you family just arrived in Las Vegas? With so many attractions and shows, it can be overwhelming to try and figure out which are actually good attractions for kids in Las Vegas. We decided to compile a list of things you can do in Las Vegas for the family without seeing any type of adult themes that Vegas has. We’ll also provide links to discounted prices, so you know you can access the best deals and prices. All ages are welcome to access the official S.T.A.T.I.O.N. 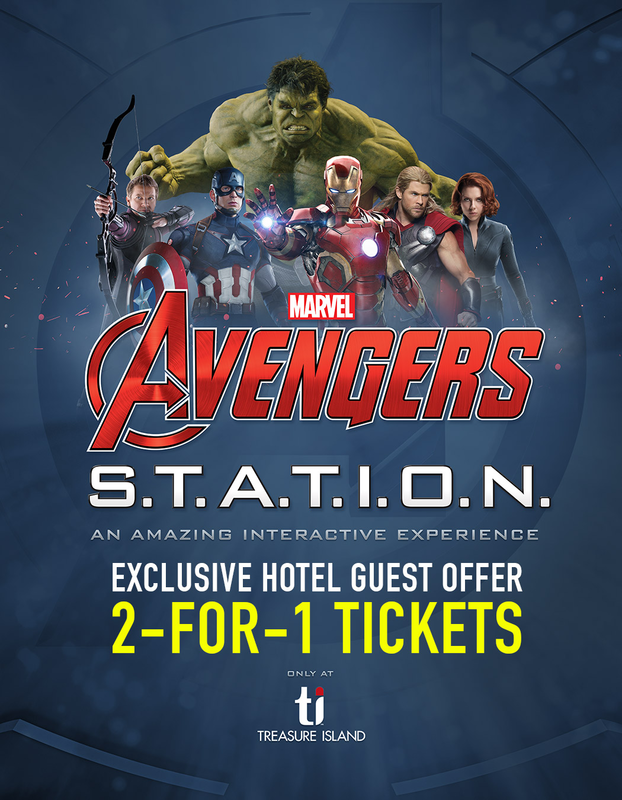 headquarters and dive deep into the Marvel Cinematic Universe with access to exclusive intelligence files, classified studies and experiments that explore the history and scientific origins of The Avengers while training to become an official agent of the S.T.A.T.I.O.N. Daily | 10:00 a.m. to 10:00* p.m.
* Last ticketed entry will be 9:00 p.m. Think karting is just kid stuff? Think again. The world of big-league racing, from NASCAR to Formula One, starts with karting; even at the grass-roots level, karting is as competitive as any racing you’ll find. Whether you use karting as a way to develop your driving skills, as a stepping stone to other series, or you just want to feel the speed, Fast Lap Indoor Kart Racing offers a real race experience you’ll never forget. Fully padded Tillett race seats support backs and Vega Dot 3 helmets protect noggins and eyebrows furrowed in competition as drivers peel around a 1,200-foot track. On average, individual races last 10–12 minutes. Established in 2003, Fast Lap Indoor Kart Racing is Vegas’ first and only Indoor Kart track that operates gas powered karts. Stay tuned as we have plans of expanding in the future! Enjoy Las Vegas’ best interactive attraction. Though the Las Vegas Strip provides a glittering backdrop, to the drivers at Gene Woods Racing Experience, the blinking lights are all a blur. Behind the wheel of the high-performance karts, you’ll zip around the half-mile track at speeds faster than other standard racing kart’s top speeds. Drivers learn to commandeer the speedy karts through an instructional video before they are let loose onto the curving track for 15 to 18 heartpounding laps. Few views of the Las Vegas Strip are more spectacular than those from above. And, with 46 stories and a 360-degree observation deck, the Eiffel Tower at Paris Las Vegas has some of the best views on the Strip—even capable of rivaling its namesake (at half the size). Visitors to the replica tower ride the glass elevator up 460 feet to see the city’s landmarks during the day or admire the iconic lights at night. The 11th floor, meanwhile, houses the Eiffel Tower restaurant, which offers a romantic dinner experience, and a nearby kiosk captures commemorative photos and proof that you’re not a ghost. REAL BODIES at Bally’s is a comprehensive educational experience with multi-layered narratives and unique individual specimens presented in dramatic, compelling environments.The full body specimens are presented in more dynamic poses with superior dissection and detail than similar exhibitions. The Exhibition also consists of immersive environments of art, science and culture such as the Anatomist’s Study, which is similar to a walk through cabinet of curiosities that includes unique and sometimes strange examples of the early days of anatomical study. Throughout the Exhibition, there are also artistic installations created by local Las Vegas artists that enhance the rooms and further illustrate the experience of being alive. At one lab station, an interim investigator carefully examines bullet casings. At another, single strands of hair deliver the DNA samples necessary to send a suspect to imaginary prison for a long, long time. Around every shadowy corner of CSI: The Experience, the latest recruits in forensic science slide into the latex gloves or behind the majestic mustaches of popular TV characters to solve crimes through interactive detective work. A total of 15 lab stations harbor the evidence of three murders, each of which throws multiple suspects into the mix to trip up investigations. Videos featuring cast members and real-life scientists provide guidance throughout analyses, and afterward, newly established sleuths receive certification by prying an official CSI: The Experience diploma from the cold, lifeless hands of their email inbox. The exhibit is open daily from 9 a.m. to 9 p.m., with the last admission at 7:30 p.m.. Each experience runs 60-90 minutes. Johnny Yeager originally ran a Las Vegas advertising and rental business. That changed after he saw the way people gawked at one of his company’s bright red, three-wheeled scooters as it cruised through Red Rock Canyon. Beginning in 2008, Johnny experimented with using the little two-seater vehicles to ferry clients through tours of the Las Vegas landscape. Slowly, the visibility of the scooters along the Strip and at local attractions created a buzz among tourists. It wasn’t long before Johnny’s advertising business had become a booming scooter tour service thanks to social media and a charismatic troupe of guides, all well-versed in the local hotspots and best ways of sneaking scooters into buffet lines. The little red scooters go on daily tours of the Strip and have also been joined by guided car- and van-borne excursions to Sedona and Red Rock Canyon. KISS concerts notoriously rock fans with more than just music: through the years, the band’s shows have featured pyrotechnics, dazzling light displays, and levitating drum kits. Golf, on the other hand, has carved out its place as a quiet, relaxing getaway. At KISS by Monster Mini Golf, these two very different worlds clash in a custom-designed, glow-in-the-dark adventure. The indoor experience presents 18 holes of rock ‘n roll miniature golf, complete with music from a live DJ and luminous shades of purples and blues that beam around players like lasers at a KISS concert. Away from the course, the KISS-centric fun continues with arcade games, a KISS museum, and spacious rock ‘n roll-themed event rooms for hosting parties and unraveling Gene Simmons’ tongue when he visits. Four tickets (up to $184.72 value). This pack can be used for any combination of adults and children. When: any show; shows run most Tuesdays through Saturdays at 4 p.m. See fine print for schedule details. Blink-and-miss-‘em illusions and a wicked wit fuel Nathan Burton’s lightning-paced showcase of teleportation and transformation. As seen on the first and fourth seasons of America’s Got Talent, Burton has unlocked the secrets of self-levitation, dematerialization, and appearing simultaneously in homes across the country. Whether slicing up showgirls or throwing himself in the microwave, the old-school showman excels at visual gags and moderately risqué, though family-friendly, one-liners. Elaborate props, high-energy music, and a bevy of lovely assistants add to the spectacle. When: any Tuesday–Sunday at 4 p.m.